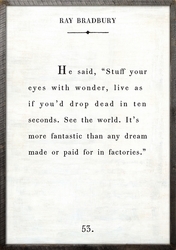 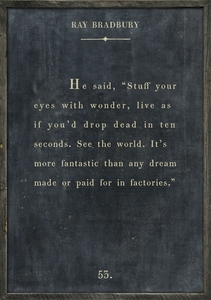 He said, "Stuff your eyes with wonder, live as if you'd drop dead in ten seconds. 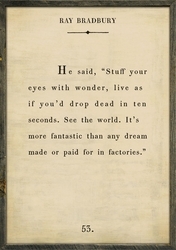 See the world. It's more fantastic than any dream made or paid for in factories."